#Gebirge #Zelt #Sturm – BERGFIEBER von Frédéric Hambalek aus Mainz lief 2017 bei interfilm im Deutschen Wettbewerb und hatte soeben bei Vimeo die Staff Pick Premiere. Have you missed „Crabe Phare“ at interfilm festival 2016 in the Green Film Competition? – Now the film by Subinfocom is online. Enjoy LENINGRAD – KOLSHIK for a intense jump into 2018! 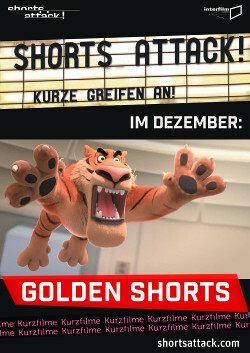 – The film was part of interfilm 2017 and was the audience favourite of Golden Shorts (Shorts Attack) in december. – Happy new year! Have you seen ONIÓN by Juan Pablo Zaramella (Argentinia) in International Competition at interfilm 2017!? – Zaramella was jury member at interfilm festival 2016. Have you missed BACKSTORY by Joschka Laukeninks (Germany) in International Competition at interfilm 2017!? Now the film is online and even became Vimeo Staff Pick! In case you missed DÄWIT by David Jansen (Germany) in German Competition at interfilm Festival 2015 … enjoy! Android love … Have you seen RESET at interfilm? Have you seen METUBE 2? – Happy new year! Have you seen MeTube 2: August sings Carmina Burana, the winning film at interfilm EJECT night 2016!? – Perform this in 2017! 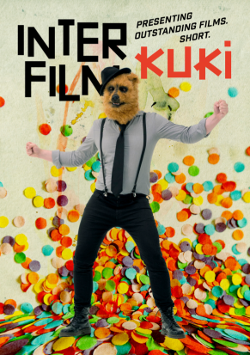 Have you seen BUSKER at interfilm? be a better being: Watch films online!